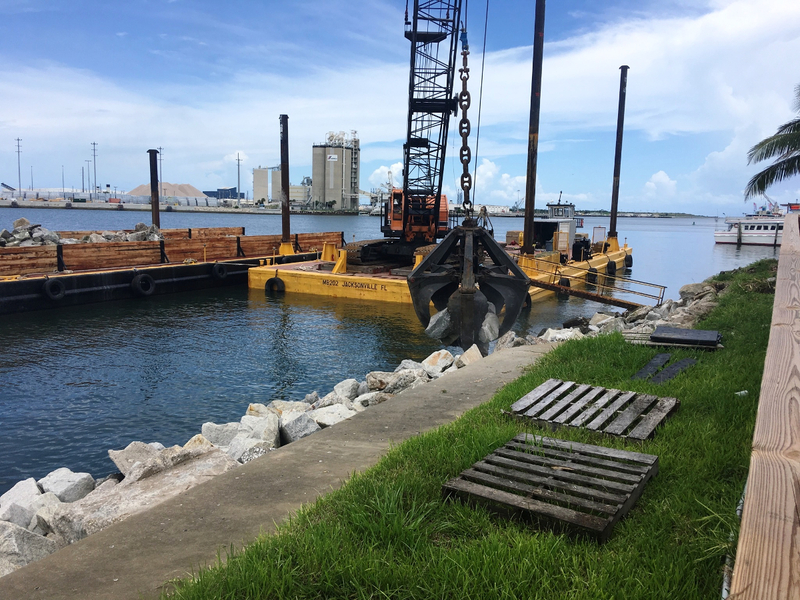 CPA Cove Embankment Repairs – Milliken’s Site – RUSH, Inc. 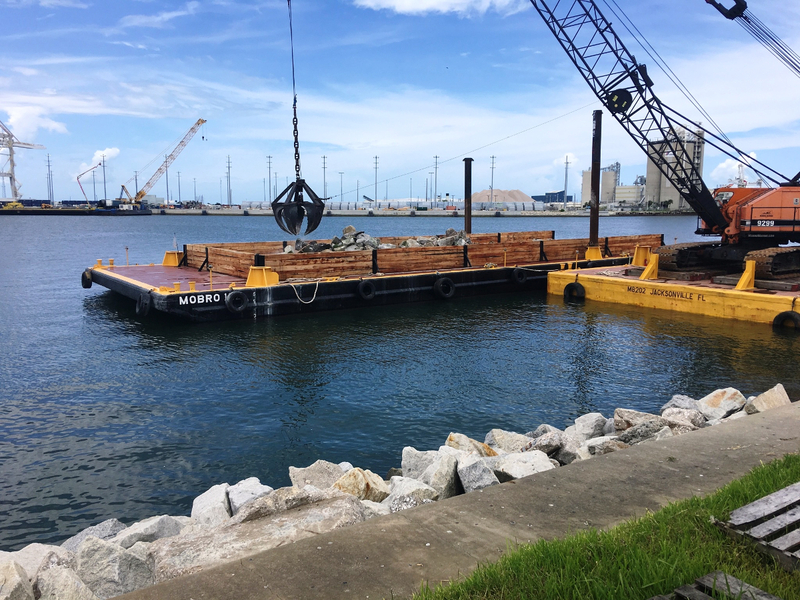 RUSH Marine was awarded this project as part of our CPA Continuing Services-Waterside contract. 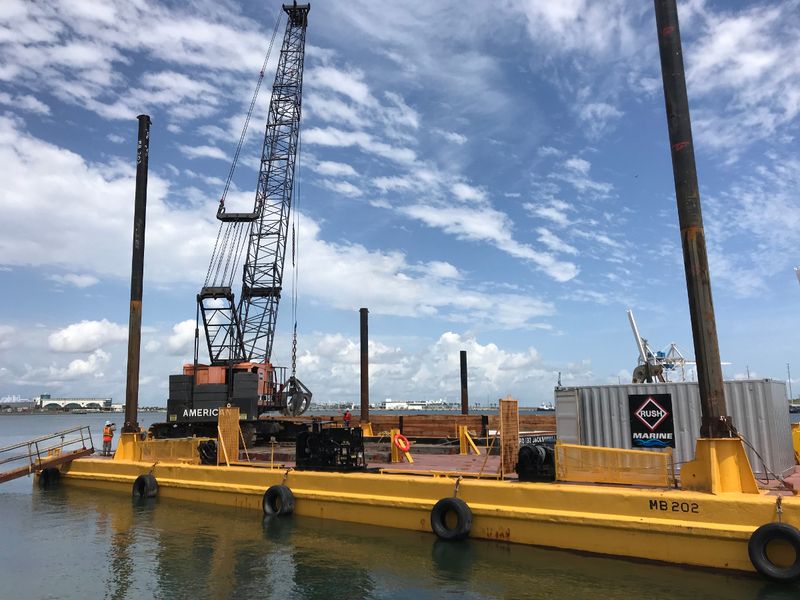 We self-performed all of the work for this project. 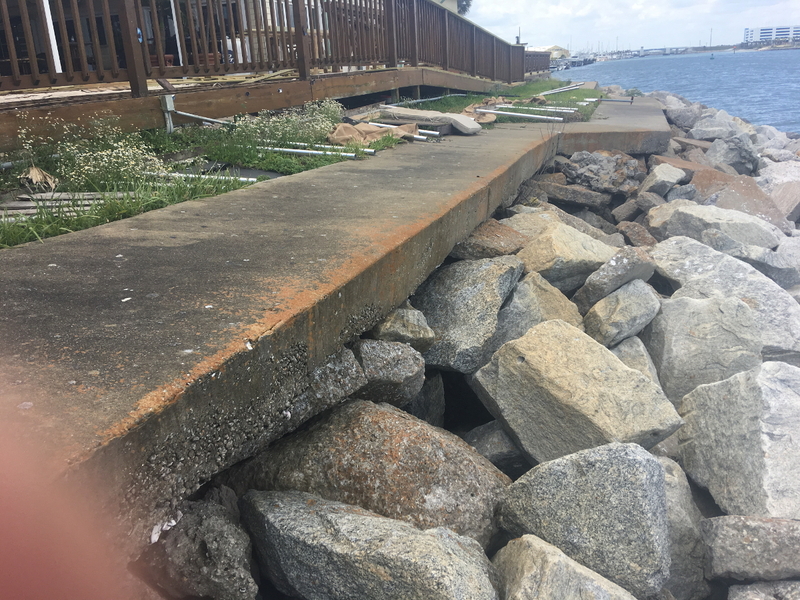 These repairs were due to previous hurricane related weather conditions. 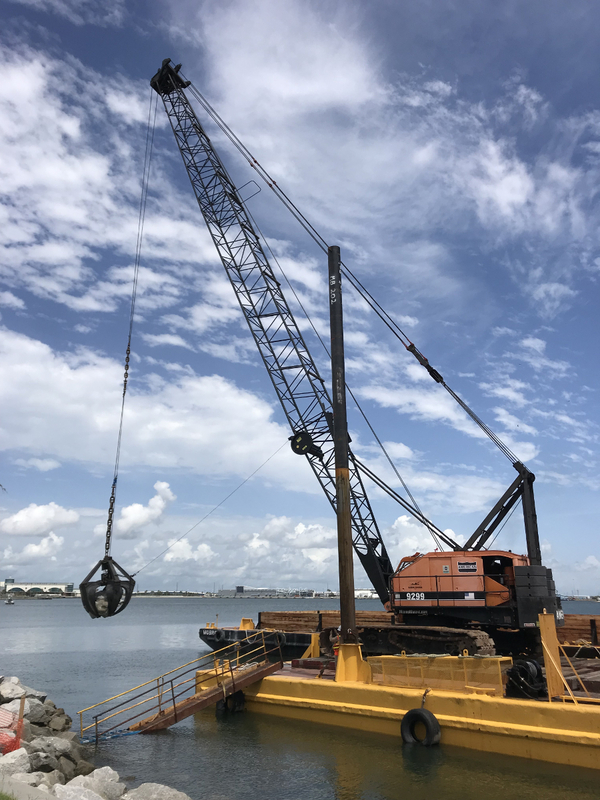 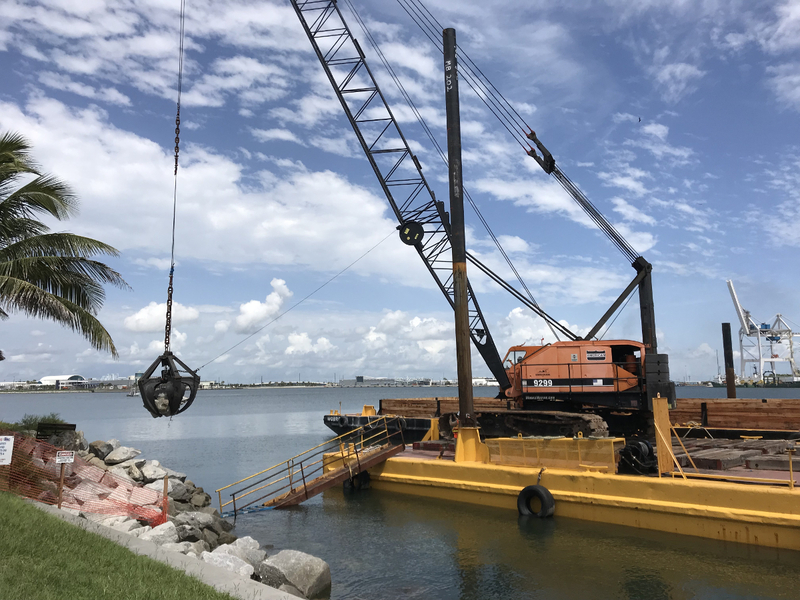 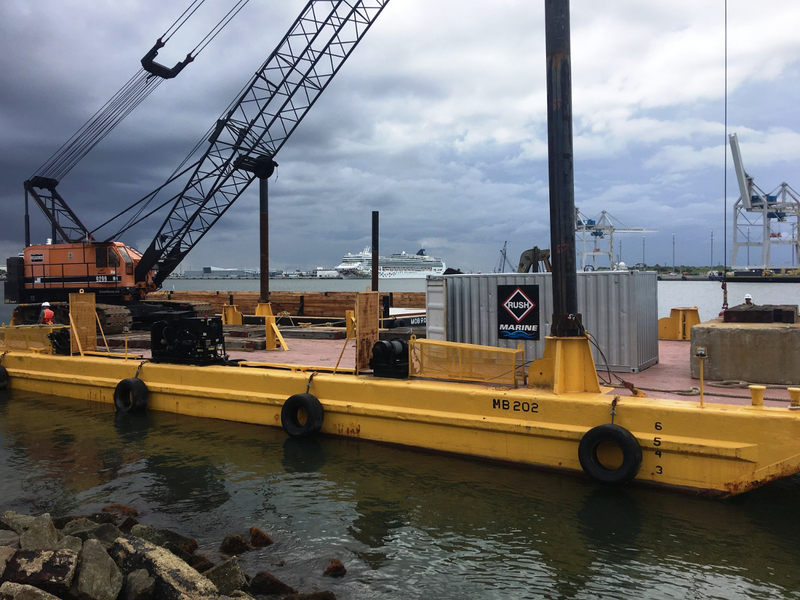 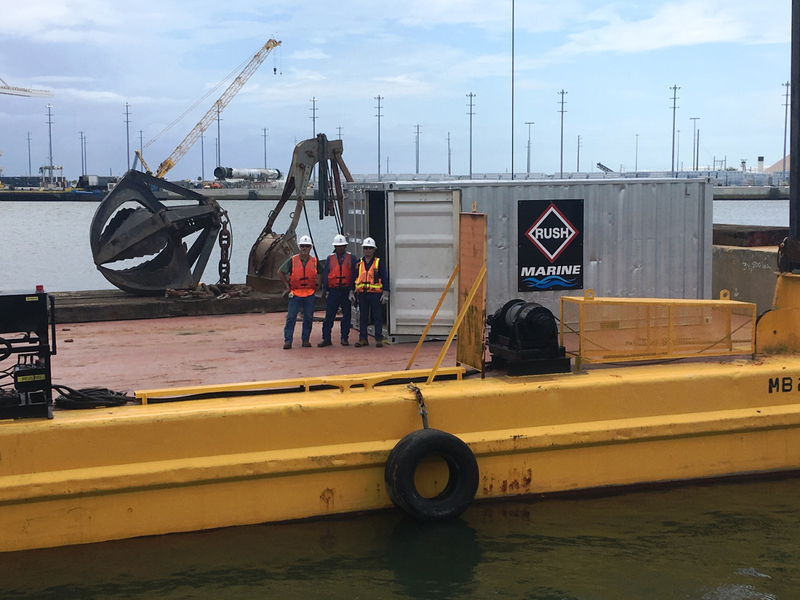 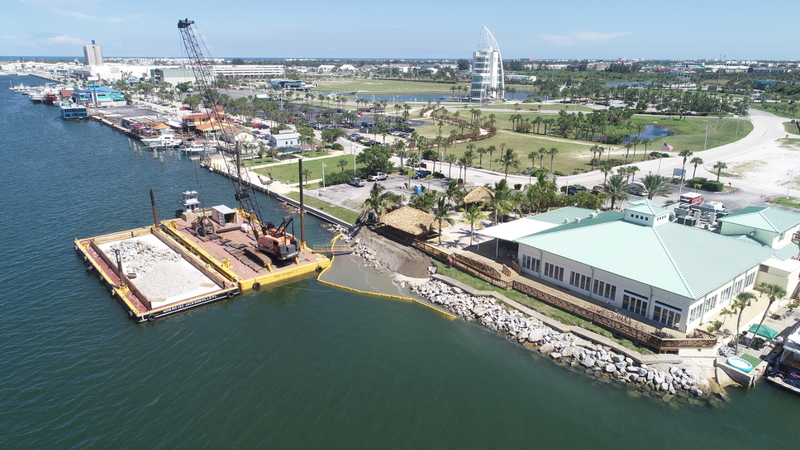 RUSH Marine furnished the labor, materials, and marine equipment necessary to remove and repair approximately 200 LF of slope embankment within the Canaveral Port Harbor. 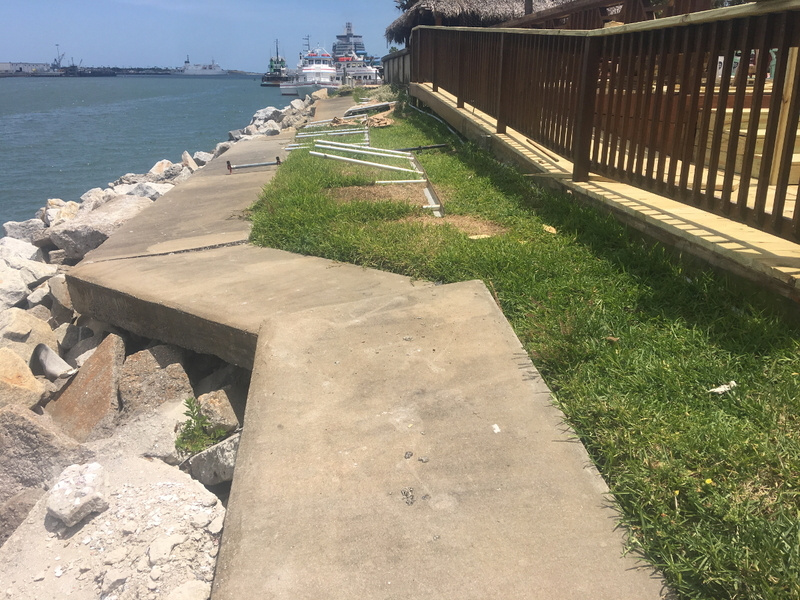 This work included re-moving approximately 450 tons of existing rip-rap from the slope on to a barge, and install geotextile fabric, bedding stone, rip-rap, fill dirt, ArmoFlex 50 open cell block mats to refurbish the slope embankment back to its original condition.